Waco & Austin, Texas Travel Adventure: Fixer Upper! 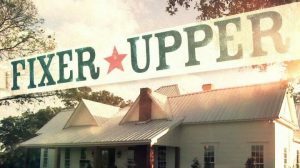 Join host and “Fixer Upper” fan Julie Gaver as we travel to Austin and Waco, TX for a fun travel adventure Monday, April 22 through April 26th, 2019. The perfect experience for home & garden enthusiasts, this Magnolia Adventure will be the perfect way to celebrate Spring FEVER! The trip includes shopping, shopping and MORE shopping at the Silos, a tour of Waco as well as the beautiful historic home where Chip and Joanna tied the knot. We’ll be dining at Magnolia Table and exploring the gardens at the Lady Bird Wildflower Center in Austin plus much more!